"My husband is not much of a fish lover but when I made this recipe with halibut he very much enjoyed it. It's very simple." Remove halibut filets from marinade and drain off the excess. Grill filets 5 minutes per side or until fish is done when easily flaked with a fork. Grilled halibut steaks with a mushroom and sweet corn relish. This was so flavorful and good! It's my favorite way to marinade fish. I sauted the fish instead of grilling and it was excellent. 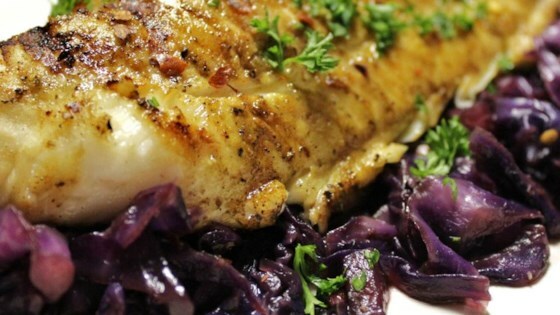 I used tilapia fillets and really liked the flavor with this recipe. However I should have cut back on the salt! I will make this again but will use half the salt.